For most of the manmade items, the prevalence of breakdowns is quite high. The mere fact that the user needs to have certain level of user discipline in itself a determinant of the place held by ensuring correct user practices before any use. The electric lawn mowers for their part are all in the same group as the others. This usually calls for good maintenance practices in ensuring that the lawn mower in question is used according to the letter and spirit of the user manual .But be it as it may, most people are oblivious of the user manual which prompts the diverse maintenance tips to make it easy for them. Like in all the areas of use of technology, the lawn mower users attach great emphasis on the importance of maintaining your electric lawn mower. As the medics would usually have it, prevention is better than cure, and so is the case with preventive repairs and maintenance on electric lawn mowers. For efficiency – poor conditioned lawn mowers may take longer periods working on a small area, which is not the case with maintained mowers. The amount of time saved, not to mention the energy ion the physical part if the mower is a push behind is unimaginable. On the cleanliness part, the lawn mowers on bad condition may not cut all the grass as may be desired by the user thus leaving the lawn looking shaggy. This is in contrast to a well maintained lawn mower with good blades and wheels. To make it last long – well maintained and used electric lawn mowers are known to last you for long and serve you well. This is usually in contrast to the lawn mowers which are poorly handled and breaks down often. The addition of the type of work done by a lawn mower in good stead is much better and is bound to leave you happy and smiling, unlike in the cases where you have a poorly functioning lawn mower which may as a result end up not giving you the desired results. 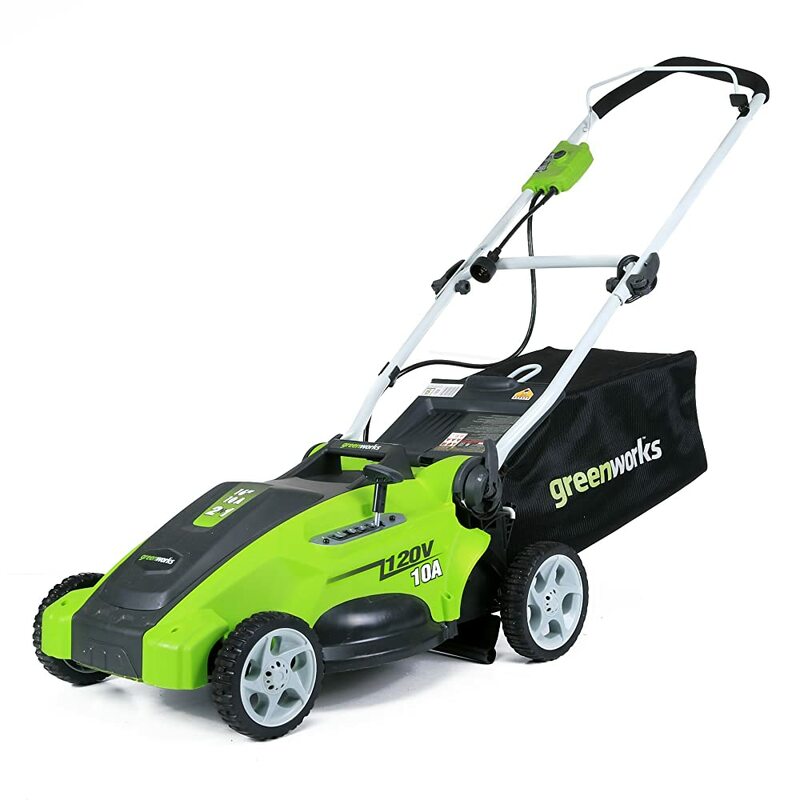 For the sake of the environment – while the fact that the comparison of electric lawn mowers and the gas driven ones leaves the former with a better record in conservation, the batteries dumped into the environment as a result of the cordless electric lawn mower use may be monumental. The solution is just to reduce the amounts used by properly caring for the electric lawn mowers. For the sake of cost – maintenance of the electric lawn mowers we have at home is essential if we are to shield ourselves from the effects of spiraling costs arising from having to go get new mowers. 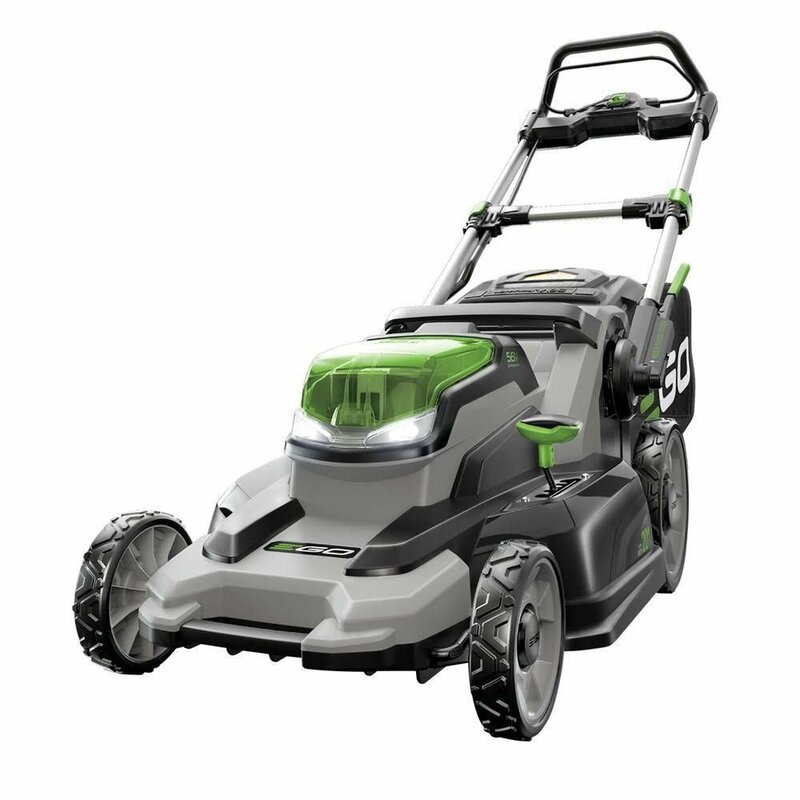 Buying new electric lawn mowers each season is an expensive undertaking. In addition, having a bad looking lawn may be a costly affair on the lives of those who live around as it can be a conduit for certain animals known to pass diseases. The treatment of such ailments should they arise may be quite costly. This is not to forget the cost of repair, which may in some cases be as high as that of buying a new lawn mower if the mower is left to break down anyhow. For the sake of safety – following the correct maintenance practices puts the electric lawn mower user to know the safety practices for good safety of the user. The poor maintenance practices are a precursor to serious injuries caused by the use of the diverse lawn mowers we have around vat home and at work. 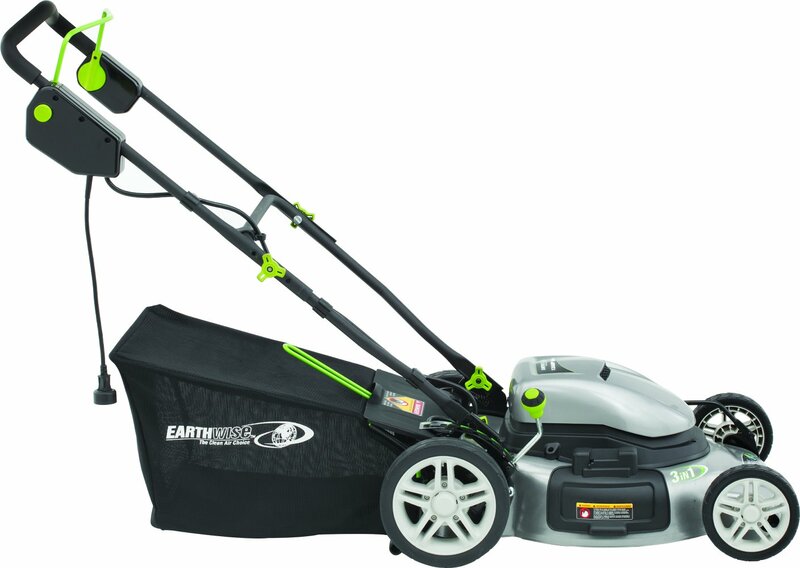 Leaving the electric lawn mower in the open – it is known that the effects of weather are not good for any electric appliance. 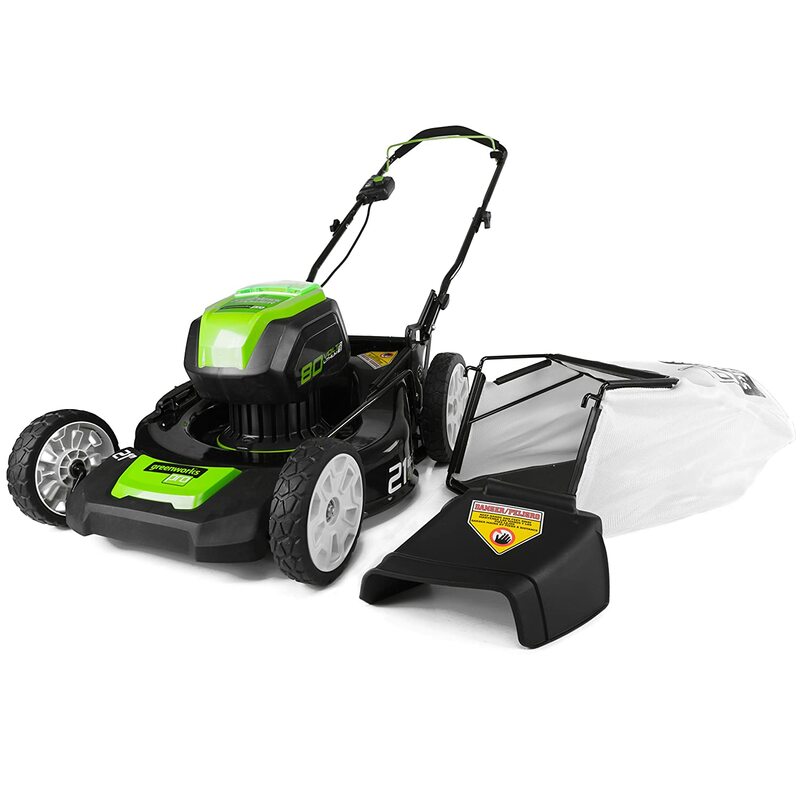 Electric lawn mowers are not an exception. Rain, frost and all the areas of humid weather may affect the operation of the motor and stall it completely. Leaving the electric lawn mower to extreme heat of the sun may not be an ideal situation either as it may also cause unimaginable damage to the overall working of the motor. It is for this reason that the electric lawn mower needs to be kept at a place which is covered to shield it from the above forces. 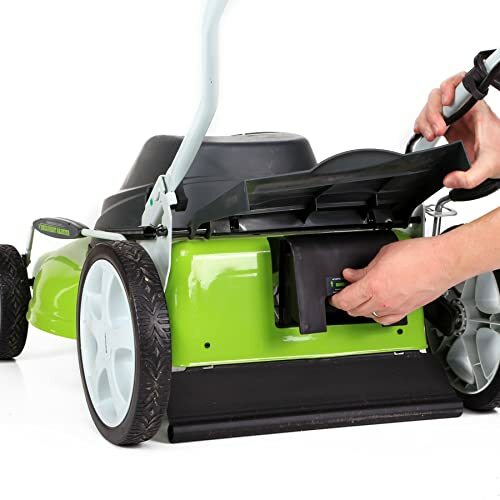 Not setting the bed neck – some people use electric lawn mowers without setting the bed neck which is meant to keep the blades from straining. The result of such an act has been the destruction of the blade and putting undue pressure on the electric lawn mower. Not having the correct length of cord/batteries – depending on the area you want to mow, if you are to use corded electric lawn mower, the need to have a longer cord is never in question. However, some people end up using shorter cables which then end up being tangled and so get cut. The user manual also usually determines the type of battery to be used with the several cordless electric lawn mowers available in the market. 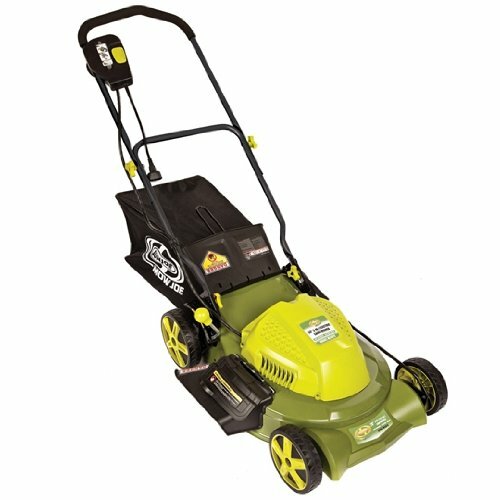 It is common to find someone using any battery for the sake of running the electric lawn mower, which eventually affects the mower. Not sharpening the blades – failure to sharpen the electric lawn mower blades is an indication that the mower will be subjected to undue pressure, which can be avoided if one just followed the normal sharpening recommendation. Sharper blades are also good as they save on the power and the physical engagement of the user. 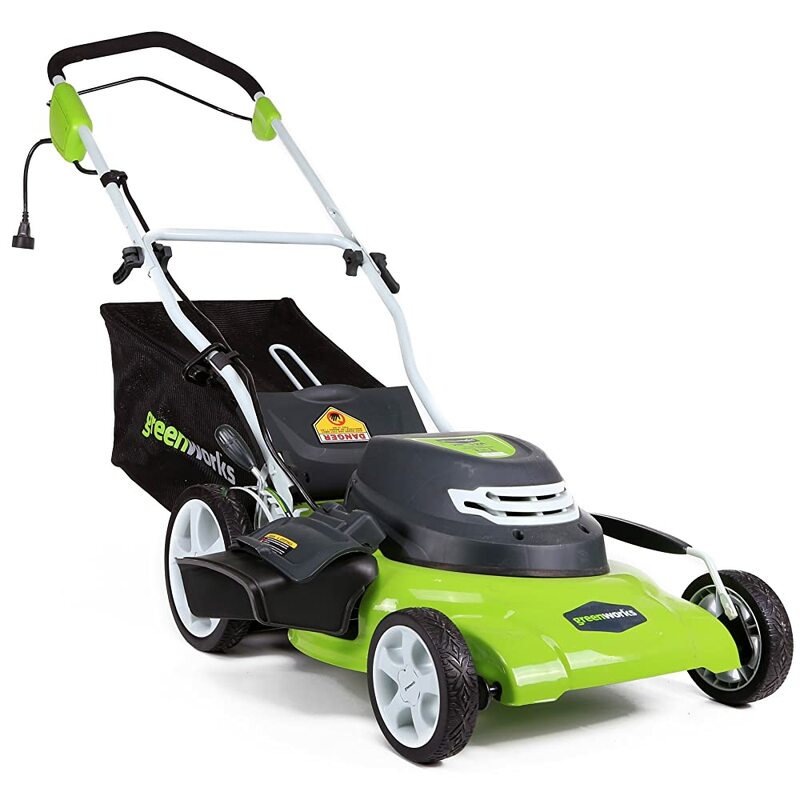 Putting it in the care of children – small children is not to be left with the electric lawn mowers whatsoever. While this is usually for the sake of their safety, the damage which they are known to be capable of is monumental and is never be repairable if they are never cared for. They may pour water on the machine making it to stall at the risk of flames arising from the electric circuit. The process of cleaning of your electric lawn mower nay not be easy, yet an important undertaking. Though the washout port is usually charged with the task of conveniently helping you with the cleaning, most of the electric lawn mowers in the market do not have this feature. Manual cleaning of the lawn mower then remains the only viable option if the lawn mower is to remain in operation. This may not be easy as any other case of appliance cleaning, with the electric angle it takes. There are specific areas within the electric lawn mower which needs to be thoroughly cleaned if one is to enjoy uninterrupted and healthy lawn mower use. Some of these we have delved into in our subsequent series. One pertinent question on most people’s lips has been why the electric lawn mower needs to be cleaned. This usually arise from the feat of making the delicate electrical parts to bed into contact with water and therefore risk the while appliance. The cleaning of the lawn mower inner parts doesn’t necessarily involve the use of water buy is meant to get rid of the accumulated dirt arising from the grass debris and any other collected particles, soil included. Keep its use healthier – in comparison, the electric lawn mower remains the healthiest environmentally, cleaning it makes it even healthy. A clean mower does not have this stuffiness around it which is what you will have with a grass ridden one. 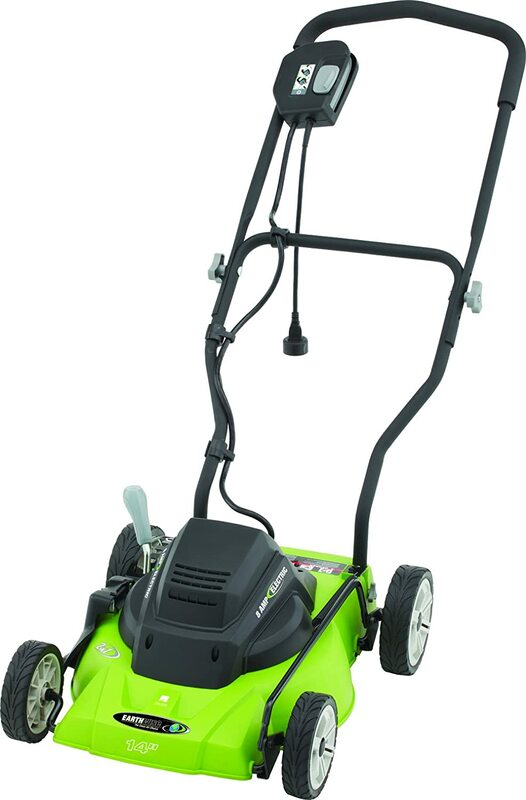 For ease of use – cleaning of the electric lawn mower makes it an ideal appliance to use. This is because of the inclusion of the blade sharpening in the course of the cleaning. Clean and sharp blades rotate easily and therefore cut with minimal effort saving energy. 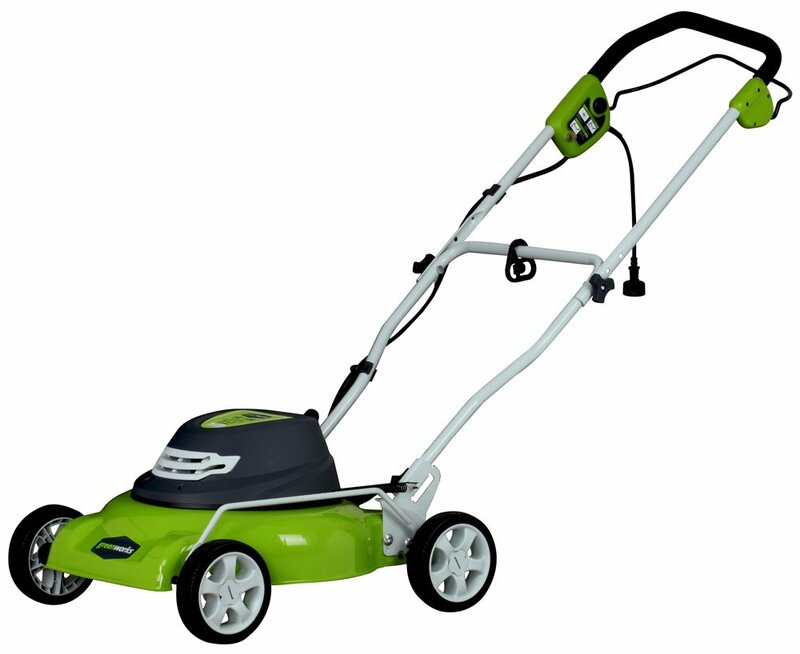 For aesthetic value – using a clean and good looking electric lawn mower in itself improves an individual’s self esteem. In effect, this can encourage longer mowing than is the cases where the dirty mowers are used. To reduce the cost – because most of the cleaning processes on the electric lawn mowers are do it yourself (DIY) procedures, the overall point is to cut on the costs. Increased efficiency on the blades cut on the electric and battery power costs by a bigger margin. Taking the electric lawn mower to a repair shop may also cost substantially. For the sake of the user – clean electric lawn mowers are known t have quiet operations, which is good for the environment when compared to dirty ones because of the force with which the blades on the dirty mowers except. Clean blades are easy to rotate and so may need less power and so less noise. 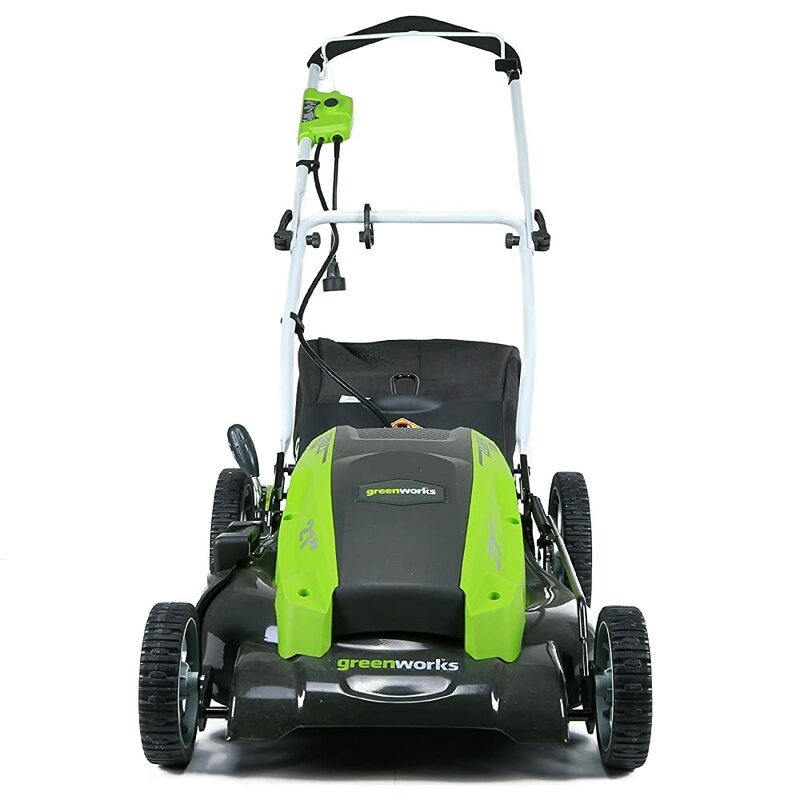 To make it last longer – electric lawn mowers may be the subject of breakdown arising from the clogging of the grass on the areas which are meant to cool the mower as it works. Cleaning the mower is therefore meant to help it lasts for longer in terms of the period it takes to operate and the overall duration it serves you. Take time with the manual – attempting anything on the electric lawn mower without acquainting yourself with the user manual is disastrous. Wear protective clothing – in spite of the other areas which you may consider, the exposure to electric lawn mower blades may be of serious consequence to your overall well being. Wearing of protective gloves on the hands and the other parts may be ideal. Because the handling of batteries which may in most cases be filled with chemicals, overall protection from the head to the toe is important if you are to successfully carry out the most appropriate repair process of your electric lawn mower. Unplug the mower – if the lawn mower was still plugged to the power socket, unplug it and look at the cord, ensure that the cord is in good shape, if not, get a new power cord to replace it. If it is a cordless electric lawn mower, ensure that the batteries are removed and the battery compartment is in good shape. The above involves ensuring that the battery is never discharged and is not completely drained as it may prompt the purchase of a new battery for the electric lawn mower, a rather costly affair in most of the instances where it has happened. Turn the undercarriage – this is meant to give you an idea of the intensity of the grass which could have stuck underneath. Carefully clean this grass using a piece of hard brush or something to help with the removal of the grass. Vents – using the compressors, you may need to clear all the openings where grass could be hanging. The use of compressors is recommended as the areas may not be easily access using the hands. Look at the mower blades – the blades play an important part in the mowing process. Sharpening the blades will help give them a new lease of life. Consulting those who specialize in this area is recommended to get the best looking blades. In case they cannot be sharpened, replacing the blades would be the best next option. Use a damp cloth to wipe all areas of the mower which may need wiping, including the undercarriage which had grass on it, this is meant to give it the fresh new look. Care need to be taken to ensure the cloth is not too damp as this may destroy the electrical motor and any other part which is not supposed to be in contact with water. Check on the wheels and wipe all the traces of mud and dust, remove any build ups on the axles before lubricating the wheels with appropriate oil. 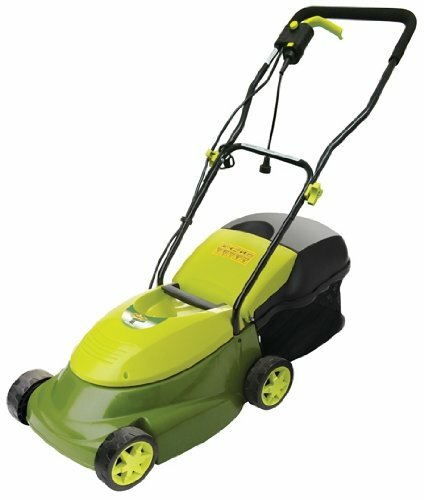 Paint and polish – the overall look of your electric lawn mower is important, the upper part may need to be polished to give it a fresh look in the paint .In extreme cases, and you may get a qualified person to spray paint the areas of the undercarriage with the blades removed to shield them from the rusting process. Lawn mower cleaning may in some cases involve other removal of certain aspect of the mower, for instance, the cleaning process may end up leading to the removal of the battery for the cordless electric lawn mowers. Checking on all the bolts and nuts in case they had been loosened, tighten them and ensure that they are in good standing. Replace the battery and ensure that all the battery points are properly plugged. ensure in addition that the battery has charge and ensure that the charge is not drained. check and replace the areas of the battery charging points which seem t be not functioning. Check on the power cord and replace it if need be. Insulate the power cord if there are areas which may expose it to eventual risk ion the user. Tighten the blades and ensure that they are running correctly. Ensure that the electric lawn mower is kept in a shaded area away from the effects of humidity and sunshine. This is usually ensured by building a shade fort the mower. Do not in addition leave the cordless electric lawn mower with the battery on it. This is usually meant to shield the battery from slow depletion and discharged. Check on the air filters to ensure that the electric lawn mower is in good condition. Check on the belts, change as may be recommended by the user manual. In all these, keep the lawn mower away from unauthorized users like small children to shield it from destruction and harm to people. Though most of these are the do it yourself (DIY) process is an open ended process, electric lawn mower cleaning process, especially where the blades need to be well sharpened may require you to visit a qualified technician to help with that. This usually runs across several areas in the repair part which may require the services of those who have the qualification to carry out the overall repair ob this all important appliance, though at a fee. It is with the effort than risking your lawn mower, where you could end up destroying it altogether. These tips, may be useful in carrying out minor maintenance processes and may not make one an overnight professional. One will still need to consult with the user guide and the other available resources in the market.